A majority of American school districts have no policies protecting LGBT students from bullying, with California also coming in on the low-end, according to a new report that looked at the anti-bulliing policies of districts across the nation. The Gay, Lesbian & Straight Education Network (GLSEN) analyzed the policies of 13,000 districts in all 50 states and the District of Columbia from 2008-11 and found that 30 percent lacked any anti-bullying policy at all, and of the 70 percent that do, only half included protections for LGBT students. In California, 54.9 percent of districts have specific LGBT anti-bullying policies, which ranks ahead of seven other states, according to the report. LA Unified is one of the districts that has such a policy, as the school board passed a specific LGBT anti-bullying resolution in 2011. With the report ending its analysis in 2011, it is likely that some districts have added LGBT anti-bullying policies or will have in the future, as LGBT rights and acceptance have become widespread around the country. For example, in 2011, President Obama, former Secretary of State Hillary Clinton and other leading progressives still opposed a federal policy legalizing gay marriage and have since changed their stance. The report also comes amid a string of recent historic victories for the LGBT community, including the Supreme Court’s ruling legalizing gay marriage nationwide and even the acclaim and praise heaped on former Olympian Caitlyn Jenner, who this week received ESPN’s Arthur Ashe Courage Award after coming out publicly as a transgendered woman. 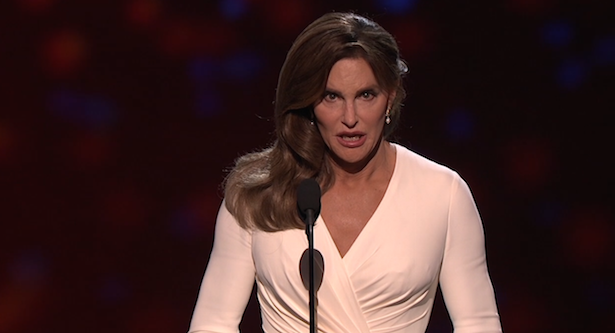 Jenner dedicated a portion of her speech to the bullying many LGBT children face.